A technically sound backrower with a big bruising physique to back up his skills, Valetini is a strong ball carrier and game changing defender who has future Wallaby written all over him. He rose through the ranks of Melbourne’s Emerging Player Program and at the age of just 17 was a key member of the Rebels U20s side for the inaugural Super U20s Championship earlier in 2016. He is a product of Westall Secondary College in Victoria and has represented Victorian state squads at U16, U18 and U20 level. Valetini had a very successful 2017 despite injury interruption, the Victorian was selected in the Australian U20’s for the Junior World Cup in Georgia. 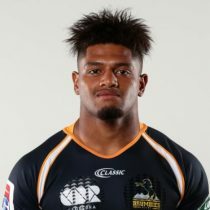 He was one of three up-and-coming players signed by the Brumbies to Extended Playing Squad contracts for 2017 and beyond. In doing that he became only the 7th Australian player to sign a Super Rugby contract while still in high school. In August 2017, the back-rower extended his deal with the Brumbies for a further two years as he continues his progression at the elite level of the game. One of the most highly touted young prospects in Australian Rugby, Rob Valetini enters his second season with the Brumbies ready to impose himself on the Super Rugby competition.